Along with MBOX files to CSV , the software converts MBOX files in more than six file formats. Choose emails file or folder for export to csv file format. Select CSV file option and then browse location to save it and click OK to start process. I am an Insurance agent in the big health care insurance provider company. Being the insurance agent I have to manage a large number of clients details. Keeping the track records of their email communication with the company. As the traditional way of keeping records in intact form is tough. There are the huge amount of emails to manage. So I want an automated solution that can easily maintain the records from emails. Does the software make records on basis of multiple attributes? I also want to keep the record of sent messages in csv format. Is it possible with the software? Is there any option to remove the duplicates emails records? Does the data remain in intact format after the conversion also? Can tool make the records of attachment as well? 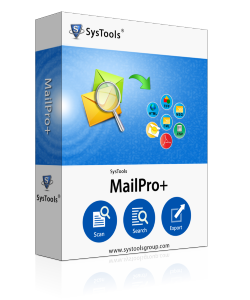 Will this tool Export MBOX Emails to CSV software convert complete emails from MBOX files to CSV? No. MBOX emails to CSV Software concentrates on conversion of headers of emails only to CSV file. It will not convert the body and attachments of emails and will only inform about the headers and Meta data of emails. Will this software work on Windows 10.1 version? Yes. MBOX to CSV Converter software is compatible with almost all the versions of Windows and it will work on Windows 10.1 version. I have MBOX files of Thunderbird and Entourage applications. Does this software support MBOX files of both of these applications? Yes. MBOX emails to CSV conversion tool successfully supports MBOX files belonging to all the email applications and thus you can convert MBOX files belonging to Thunderbird and Entourage as well. I am extremely happy and satisfied with the MBOX to CSV Converter application. Being an investigator, I had multiple MBOX files belonging to various users and various email clients. I needed a single application, which can support all these files belonging to different email clients for converting the emails' headers to CSV file for keeping records of these emails. And all our requirements were fulfilled with this converter. CSV format saves the data in the structured format. It can be easily opened in any spreadsheet program such as MS excel, Open office, Google spreadsheet etc. Retrieving the data from CSV file is easier. In quick time span, you get the desired results. To save mbox files in csv you will definitely require tool like MBOX to CSV converter.